Please help us welcome artist K.D. Tobin as we explore the unlimited possibilities of Golden Artist Colors Acrylic paint. We will cover a wide variety of topics and products including Heavy Body, Fluid Acrylics, Williamsburg Oil Paints, and QoR watercolors. Printmaking techniques utilizing Golden’s OPEN Acrylic, artist made printing plates using collagraphic processes, watercolor printing and a whole lot more. Given the time constraints we will only be able to briefly touch upon the various techniques but every artist attendee should come away from the event with a brain jam-packed with new possibilities. “I have been painting for more than 40 years. Painting, sculpting, & teaching are my passion. My work has evolved from very large abstract-figurative to smaller, purely abstract pieces. Close examination of a particular piece will reveal texture, hand-prints & even footprints that are part of the process of creation. Buried within many pieces are subtle snippets of newsprint, headlines, & other social commentary that act as time-code elements to root the piece and act as a reference to its place in time. Email Aaron Washington at aaron@carrollwoodcenter.org to RSVP. 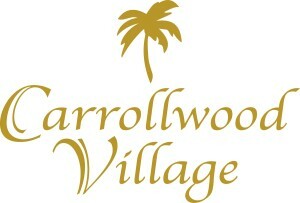 This event is part of The Lecture Series presented by Carrollwood Village HOAs. Carrollwood Goes 80s SpringFest! YouthFest!